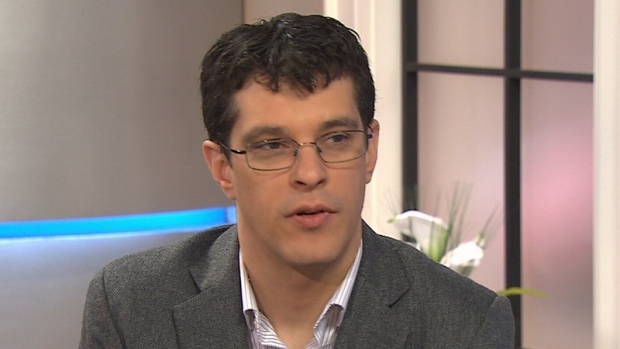 VANCOUVER -- The former University of British Columbia student who accused Steven Galloway of sexual assault says her complaint against the acclaimed author was not about a "consensual affair." The woman, identified only as MC or main complainant, has released a statement through her lawyer, speaking publicly for the first time since Galloway was suspended over what the university described as "serious allegations" last November. "MC has stayed silent since Galloway was suspended, out of respect for the process and the confidentiality of everyone involved. The so-called 'secrecy' of the investigation process has protected Galloway, perhaps more than anyone else," the statement said. Galloway was fired from his position as creative writing chairman in June. Last week, 88 prominent authors including Margaret Atwood and Joseph Boyden signed an open letter decrying the university's secrecy around the case and calling for an inquiry into how it was handled. On Wednesday, Galloway issued a statement for the first time since he was suspended, confirming he was accused of sexual assault but saying the only allegation that was substantiated by former judge Mary Ellen Boyd's investigation was that he had a two-year affair with a student. The school faculty association has said all but one of the allegations, including the most serious, was not substantiated by Boyd's investigation. Galloway said he profoundly regrets his conduct and wishes to apologize for the harm it has caused, adding that this matter continues to have "tragic impacts" on all involved. "Mr. Galloway has issued an apology. But he wouldn't appear to be apologizing for the finding he has admitted was made against him by Ms. Boyd, which was misconduct for 'inappropriate sexual behaviour with a student': conduct which is an abuse of trust and his position of power," it said. "Mr. Galloway has not made clear to whom he is apologizing or what he regrets, other than presumably the consequences to him. His reference to the 'tragedy' of the events does not explicitly consider the devastating impacts of abuse of power on women affected." The woman said Galloway, through his "high-profile contacts," is calling for an inquiry into the university's handling of the case. She said that is unnecessary and a labour arbitration scheduled for March will consider both the process and his termination. Further, she said, Galloway has appealed the university's decision to release the redacted report to her as it could be "harmful" to his "privacy interests." As a result, she has not seen the report. "Mr. Galloway says in his statement that 'he seeks fair treatment for all involved,' " she said. "Perhaps he could start by withdrawing his objection to an obvious and fundamental point of fairness to the main complainant, so that she too can see the report that Galloway has paraphrased so extensively and for his own benefit in the national media." The university has said it reached its decision in the case after a "thorough, deliberative process" and it is barred by privacy legislation from disclosing the allegations against Galloway without his consent.